Waddell, C. (2016). The Scotland referendum in the English-language Canadian media. 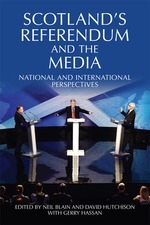 In Scotland's Referendum and the Media: National and International Perspectives (pp. 204–216).